AND WE'LL... quickly, efficiently and cleanly blow your fibre for you. When you need to install a new length of fibre, how would you describe the process? Clean, quick, simple, efficient... future proof? 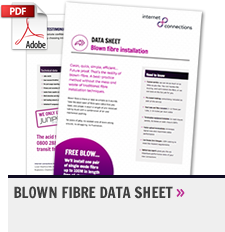 If that sounds wide of the mark in your experience, it's quite possible you're not taking advantage of the best practice installation method: blown fibre. Blown fibre is as simple as it sounds: take some fibre optic cable, and propel it down a length of pre-installed tubing (duct) with a combination of air and mechanical pushing. No pools of jelly, no wasted coils of slack sitting around, no struggling, no frustration. Traditional installation versus blown fibre — what's the difference? Fixed, single use: when the time comes for new fibre types and quantities, the whole cable needs to replaced. The same is true if a damaged cable needs to be swapped out. Traditional cables are heavy, bulky and fragile. Typically, loose tubes are messy to terminate and easy to contaminate, resulting in compromised performance. Future-proof: once your duct is in place, new fibres are easy to install at a later date as your requirements change. Damaged fibre tubes are simple to replace, or can be repaired easily with simple push-fit couplings. Each cable is light-weight, easy to handle and mechanically protected by high strength ducting that resists kinking, trapping and twisting. No additional protection is needed. Low fire hazard: fibre tubes meet IEC60332-3 and IEC60332-1 for use indoors. Multiple bundles can be interrupted midway, without disturbing live fibre in other tubes within the bundle. Installation is neat and efficient. Cables are installed to exact length, so there are no messy coils of slack left under the floor or in the bottom of your rack. Compact: tubes are available singularly at 5mm diameter or in bundles with up to 24 tubes in one cable. Fast installation: empty blown-fibre duct requires no special handling procedures. 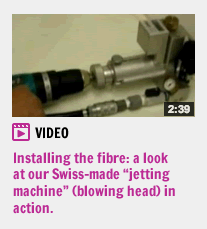 Fibre is then blown into the tube in seconds. 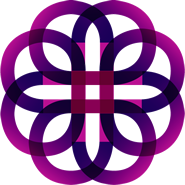 Simple: fibre tubes can be installed by in-house staff and then populated by us without the need to access intermediate areas. when is blown fibre used? Blown fibre is a quick, tidy and practical way of getting fibre into targeted rooms within a building. 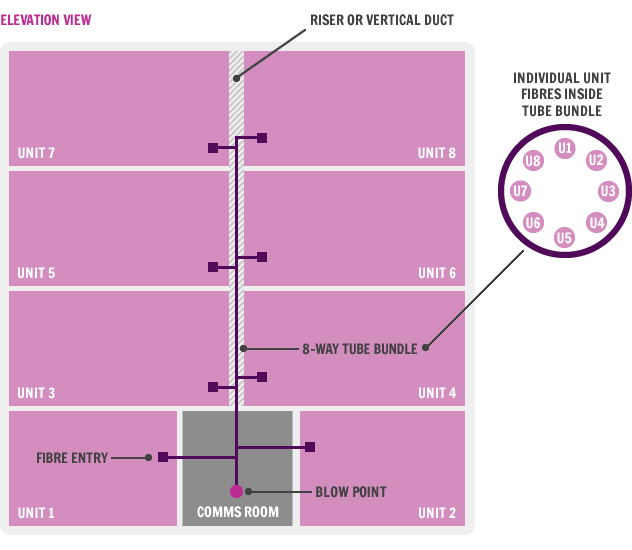 As the diagram below shows, where a riser (typically present as a services void for delivering utilities to each room) has been pre-installed with multi-core tube bundles (a length of duct cable of holding multiple lengths of fibre) it is possible to jet fibre from a central point, directly to the required location in the building. The same approach can be used in office buildings and data centres (for connecting specific cabinets/networks). Using a combination of mechanical and air-assisted pushing, the cable jetting machine quickly feeds fibre down a length of pre-installed, durable plastic duct. Where a length of fibre is interrupted (e.g. where two fibres are joined together) or otherwise terminated (e.g. where connectors are attached) "link loss" will occur. Decibel loss is a way of expressing the degree of signal degradation through link loss. OTDR equipment can be used to identify points of degradation along a length of fibre. By using techniques such as fusion splicing to join lengths of fibre/attach connectors, decibel loss can be minimised. Light-weight and durable with a low-friction lining, duct is protective tubing into which fibre lengths are inserted, using a cable jetting machine. For internal installation (where a risk of fire is present) duct is specified as Low Smoke Zero Halogen. Used in cable termination, a fibre pigtail is a piece of fibre with an optical connector at one end (for plugging into a patch panel) and exposed fibre at the other. The exposed end is fusion spliced onto a length of fibre. A length of fibre cable. A method of terminating/joining fibres or affixing connectors to fibre to maintain optical quality by minimising decibel loss. Fibre ends are cleaved (cut) perfectly at 90 degrees, before being cleaned, and then fused together using highly localised heat (quite often an arc of electricity). Where cables are installed indoors, they can be specified to meet fire regulations; LSZH duct is made from flame-retardant polymer. The degree to which a cable can be bent without introducing damaging and/or performance inhibiting kinks. Observing the minimum bend radius is an important consideration during the installation of fibre duct. An OTDR device is used to measure the performance of live fibre optical cabling after new installations or as part of fault finding/diagnostics exercises in existing installations. Ready to talk? 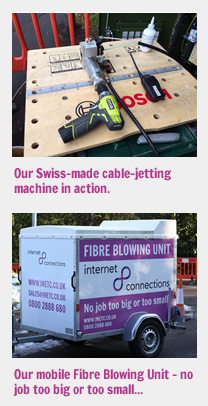 Whether you're coming to us armed with all the knowledge you need, and just need to iron out the final details, or you'd like the full lowdown on how our blown fibre service can make cable installation easier for your business, we're ready and waiting to help.